Blue on his first day home in New Jersey, in June 2010. Blue was born, as best as anybody knows, around February 14, 2010. He was found a few months later at North Carolina’s Person County Animal Control, which at the time was a shelter with a gas chamber. Because Blue was shy and afraid, he was placed in the row of cages for dogs who are not preferred for adoption. He was given three days to live, and he didn’t even get a walk. Rhonda Beach, working with a local rescue group, pulled Blue out of the facility to make sure he would not be killed. Another member of the rescue group gave him a foster home at her nearby property. Rhonda then made contact with Lulu’s Rescue in Point Pleasant, Pennsylvania, to see if they could help find him a home. Michele Armstrong of Lulu’s Rescue posted Blue’s photograph on the Lulu’s Rescue page at Petfinder.com. That’s where New Jersey resident Kim Kavin saw him, fell in love with his adorable face, and offered to adopt him. Rhonda drove Blue to Raleigh, N.C., where he was placed onto an RV full of rescued shelter dogs. 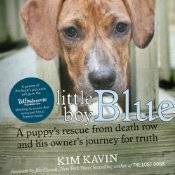 About 500 miles later, Kim met the RV in a shopping center parking lot in the Northeast, kissed Blue hello, and brought him home to western New Jersey, where he now lives in her house with a big, fenced-in backyard. Blue has since graduated from Top Dog obedience school and is a proud recipient of the American Kennel Club’s Canine Good Citizen certificate. He has lots of doggie pals, visits the nearby dog park and wooded park trails pretty much every day, and is a beloved member of the Kavin family who gets his very own presents under the Christmas tree. 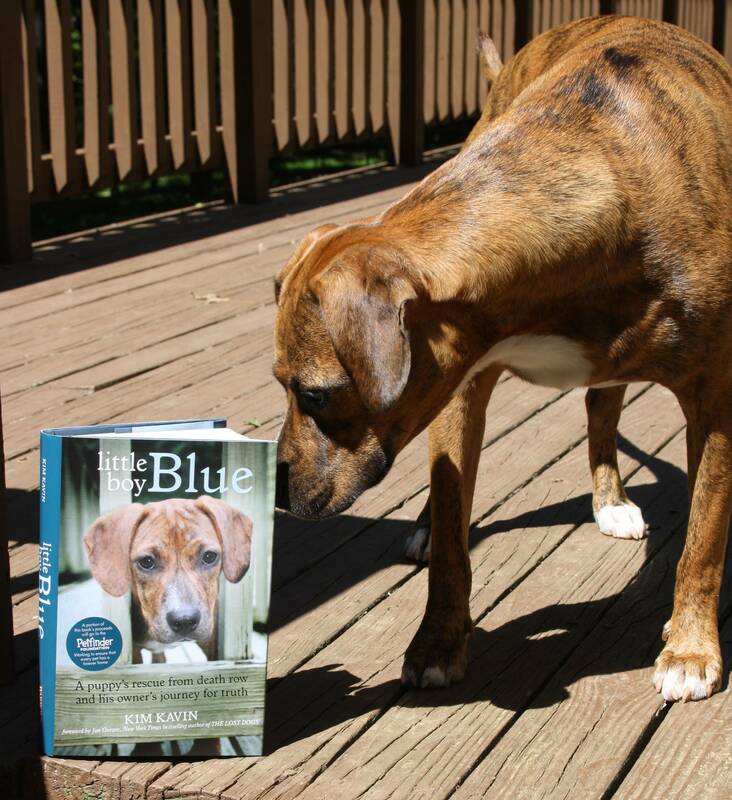 In September 2012, Blue got a canine sister, Ginger, a Labrador/Shepherd mix saved from a high-kill shelter in South Carolina. They play and play all day, and Blue couldn’t be happier. You can keep up with their latest exploits at the Little Boy Blue Facebook page. Blue at about 18 months old, during a jaunt on a warm summer’s day. 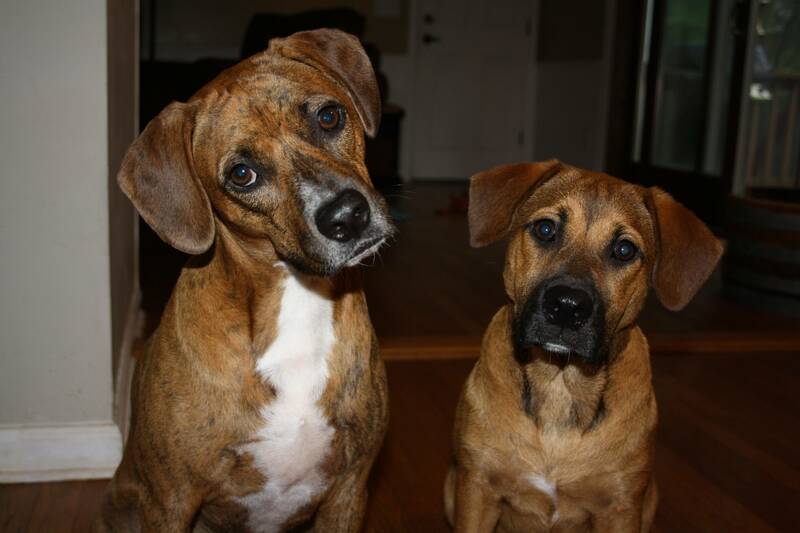 Blue and his newly adopted sister, Ginger, in September 2012. Hello. We just adopted a female dog that looks almost identical to Blue. In fact, we saw your book at a store & thought at first it was our new pup on the cover! She also was from a high kill shelter & managed to make her way into Canada. 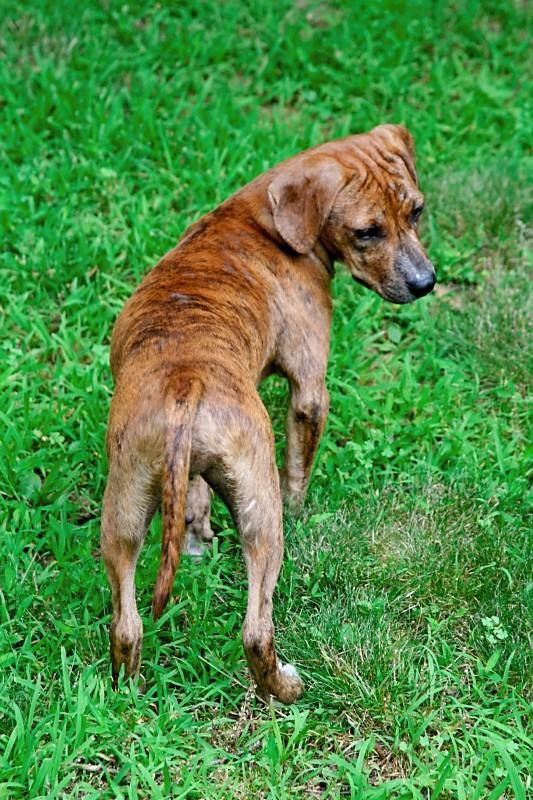 The rescue shelter thought she may be a Plott Hound crossed with a Dachshund. Any ideas of the breed? Blue was originally listed on Petfinder as a Plott hound/Labrador mix. 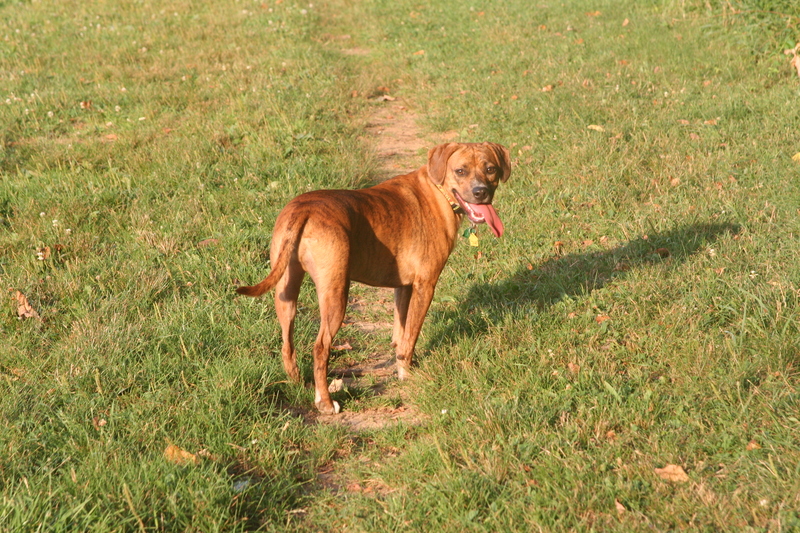 Our best guess is that he is any or all of the following: Plott hound, Coonhound, Beagle, Pit Bull, Boxer. He has a wonderful temperament and is great with people, kids, and other dogs. To be honest, his breed doesn’t matter to me. I think he’s a truly awesome mutt! Just finished listening to your book. I have worked in rescue, volunteered at shelters, directed a non-profit that gives grants to animal welfare, and foster. Your book is the best description of the current situation I have heard to date. Thank you. I will be recommending it to all.